Chandeliers are the epitome of luxury. Many homeowners want to incorporate the element of water in many areas of their homes. 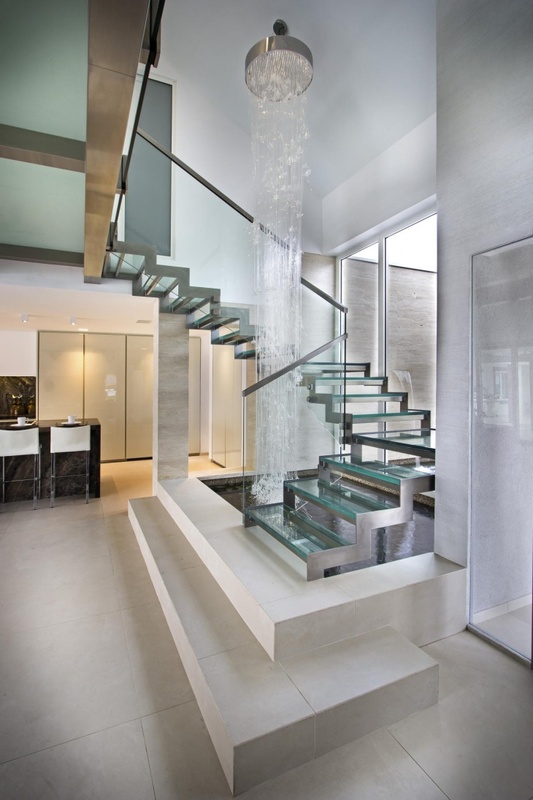 This can be achieved by installing waterfall chandeliers. The flowing sensation of the materials used in manufacturing these chandeliers, evokes an elegant ambiance that steals the limelight whether the lights are on or off. Today we have gathered a collection of waterfall chandelier design ideas that will definitely inspire you to find the light. The combination of flowing crystals with the metal creates a charming combination. 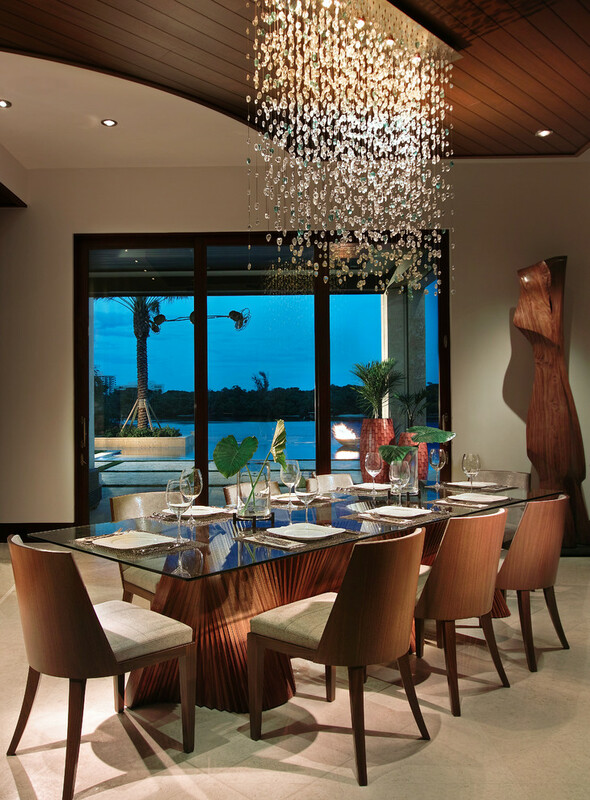 This waterfall chandelier would be a splendid addition for your dining room to complete a chic and contemporary style. 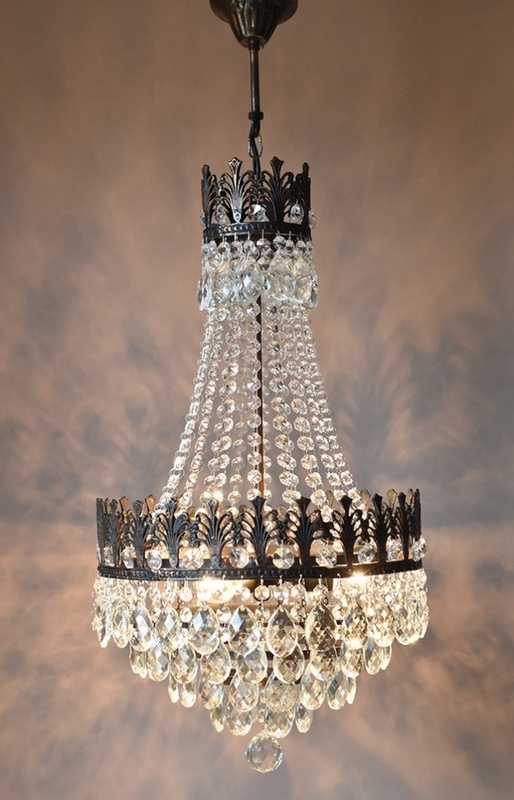 The large crystals of this antique chandelier with the brass details will be a lovely addition for your dining room. The shape of this ornate chandelier is suitable for a round dining table. A round waterfall chandelier would be great for a bedroom too. This rustic one can be matched with a rustic metal framed bed and dark wood flooring. The crystal beads will bring a sense of subtle elegance to your room. 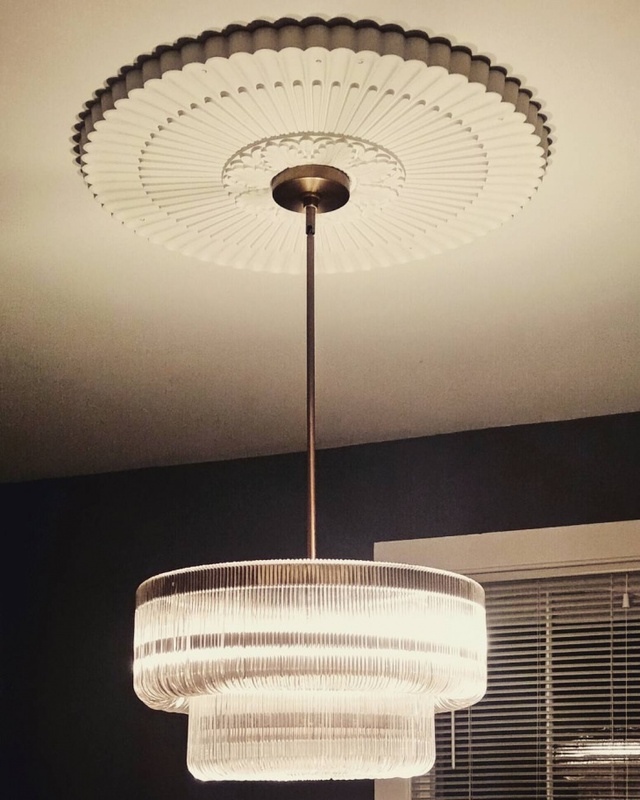 This is a great example of a statement chandelier. 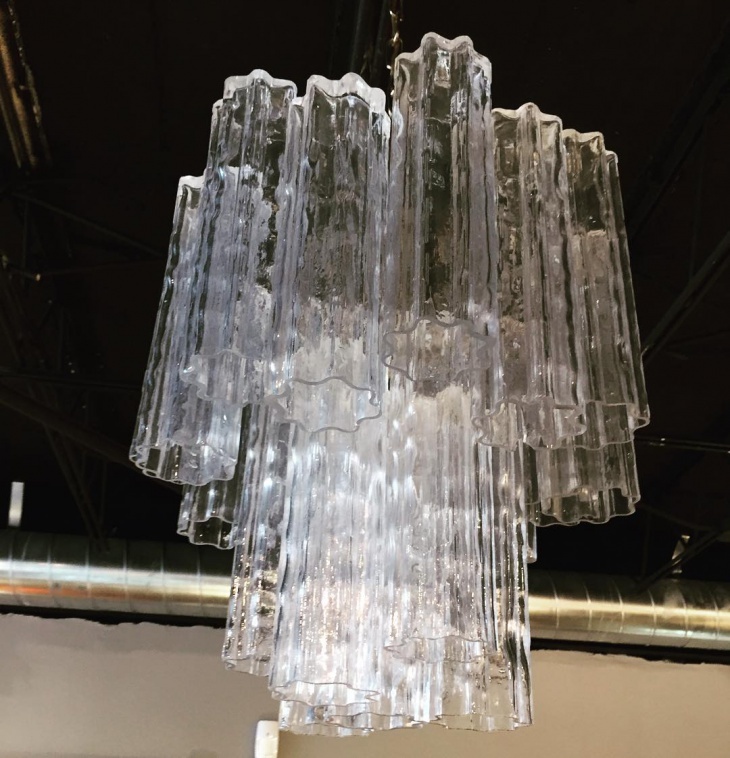 The long crystal tubes create the illusion of a frozen waterfall that will be perfect for a midcentury dining room or living room. Use materials like rubber strings to create a more fun setting. Like this girl’s bedroom the pink chandelier has three rows of pink rubber strings that create the same effect of flowing water and the fourth row with beaded ends for a splash of elegance. This luxurious feature is meant to catch everyone’s eye. 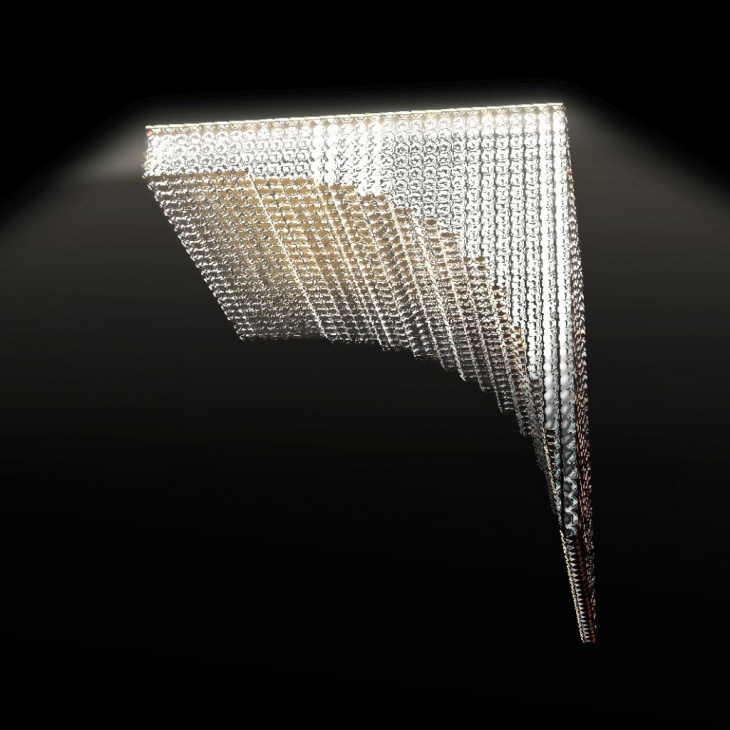 The crystal beads woven in a side flowing pattern create a mystique atmosphere of modern industrial elegance. 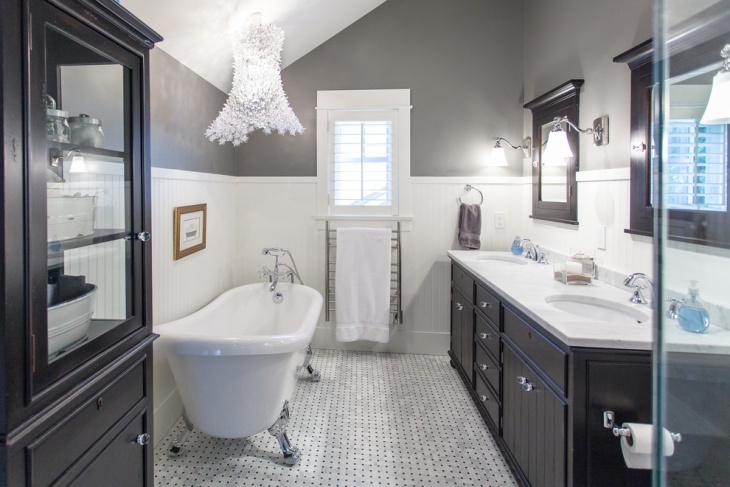 Instead of bead drops of crystals you can use chandeliers with a different design like in this traditional bathroom. The flower patterned crystal tube of this waterfall pendant light creates a romantic Victorian setting for the room. This glass waterfall chandelier completes the look of this contemporary bedroom. The milky color of the glass petals cast soft lighting to the room creating a chic look in your sleeping area. 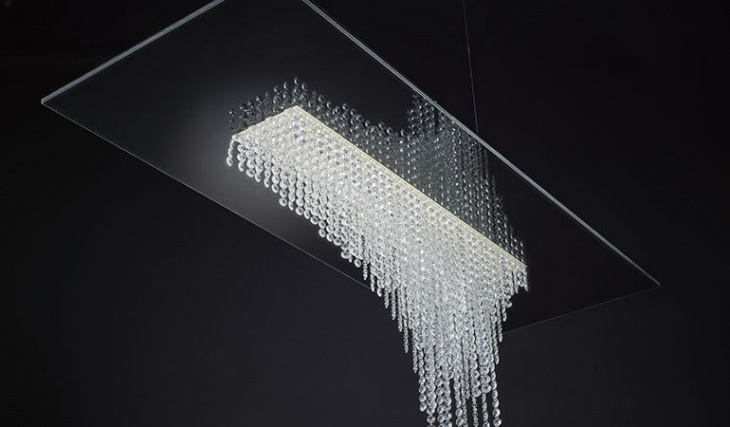 The small crystals of this chandelier create the effect of falling raindrops. 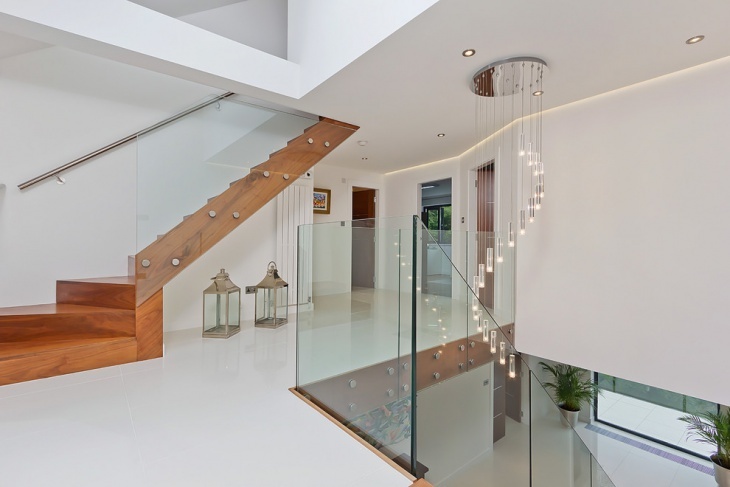 This can be used in high ceiling areas of your house like in this staircase area. 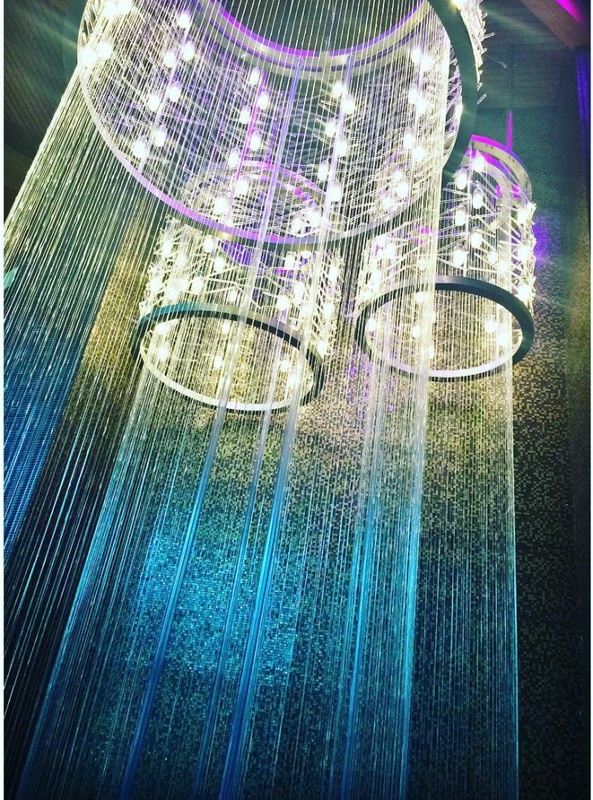 You can have a custom made chandelier with really long crystal strings. 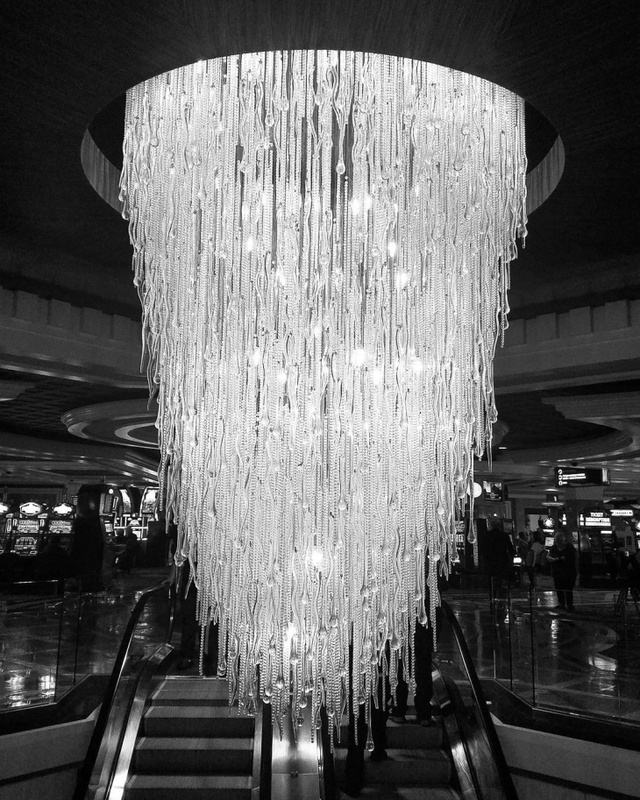 You can always make your own waterfall chandelier design. You will need a light fixture and materials like strings and crystal beads to decorate and create the perfect for your room chandelier. Along with choosing the appropriate chandelier for your home, you need to learn how to maintain them correctly. You can use both dry and wet methods. You will need microfiber cloths in order to protect the crystals from damage and special glass cleaners. Make sure you always start the cleaning process from top to bottom and from the inside out for easier cleaning. 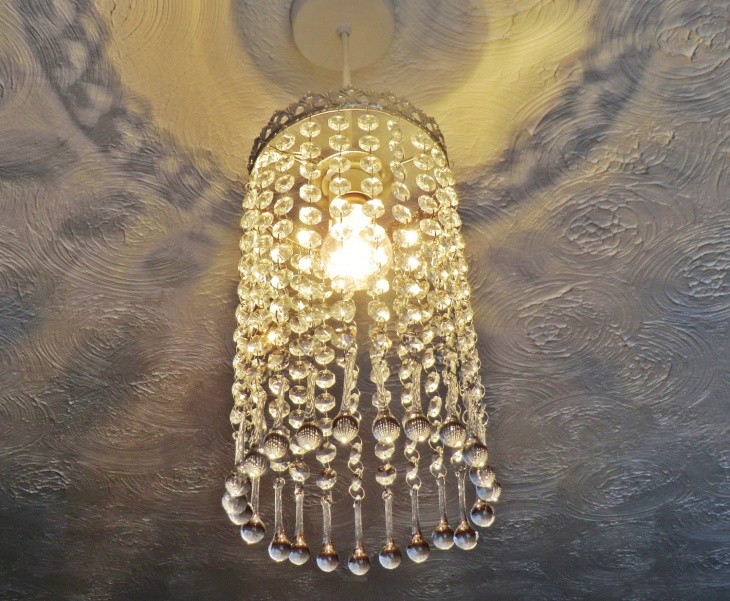 Chandeliers are perfect for any room. There is a multitude of designs, colors and styles to choose from. You can even use them outside as an outdoor candle chandelier to create a serene and exquisite atmosphere. No matter what you choose it will be a wonderful choice for your home.